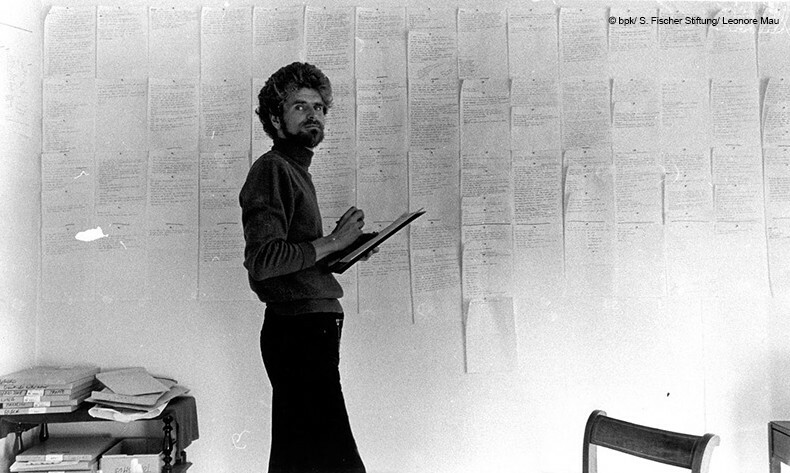 The writer and ethnologist Hubert Fichte (1935-1986) is considered a pioneer of new disciplines in Germany such as queer and postcolonial studies. With the project Hubert Fichte: Love and Ethnology (2017-2019) HKW and the Goethe-Institut have initiated, for the first time, a critical engagement with his writings at the places that he has encountered, studied and has been inspired by – in an attempt to also revert his perspective. The next station in Santiago de Chile (Sep 14-Nov 18, 2018) revolves around Fichte’s interest in Chilean socialism and Salvador Allende. The focus of the station in Dakar (Oct 5-20, 2018) will be on his research into psychiatry in Senegal, Tanzania, Togo, and Dahomey. The chapter in New York (December 2018) will address Fichte’s fascination for the “capital city” of African Diasporic cultures. In the fall of 2019 Hubert Fichte: Love and Ethnology comes to HKW in Berlin with commissioned art works, new and old projects, answers, critique, parallel narratives, and continuations of his work. The project Hubert Fichte: Love and Ethnology takes Fichte’s Geschichte der Empfindlichkeit, which due to his early death in 1986 remained unfinished, as its starting point. In the 18 volumes composed of novels, non-fiction texts, literary reviews, political interviews, and ethnographic essays, Fichte combines experimental autobiographical prose with an attempt to rethink the humanities in the second half of the 20th century in light of the Holocaust, the atomic bomb, colonialism, and global hunger. Thus, to this day, the Geschichte der Empfindlichkeit remains a unique literary project. Artistic direction: Diedrich Diederichsen and Anselm Franke. In the Museo Nacional de Bellas Artes in Santiago de Chile the Chilean artist and curator Mario Navarro (*1970) thematizes Hubert Fichte’s encounter with Salvador Allende and the country at the southern end of Latin America from Sep 14 to Nov 18, 2018. The exhibition Suprasensibilidades, which opens on Sep 13, will be accompanied by a conference on Sep 14&15. In dialog with artists from Chile, Brazil, and Denmark, Navarro develops a narrative which, on the one side, makes literary references to a chapter from Fichte’s novel Explosion, as well as to an audio play by Fichte about his meeting with Salvador Allende. The two texts will appear for the first time in Spanish on the occasion of this exhibition in the book Chile: Un experimento por el futuro (publishers: Metales Pesados), translated by Cecilia Pavón. Hubert Fichte and the photographer Leonore Mau, his life and working partner, were admirers of Allende and his political reforms and, like many others, hoped that his ideas on greater social and societal equality would spread across the entire continent. 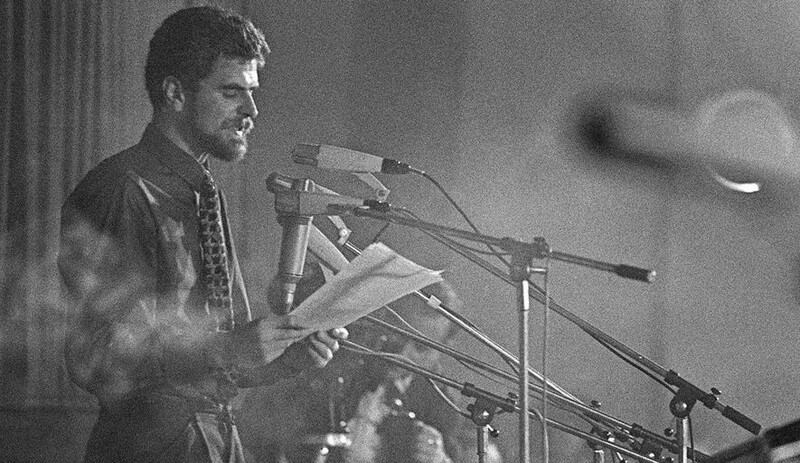 Fichte’s interviews with Allende and his press officer Carlos Jorquera are key moments for Fichte, Mau, and the exhibition itself. Navarro brings together the video artist Claudia Del Fierro and the documenta 12 participant Gonzalo Díaz as well as the Brazilian-Danish artist duo Tamar Guimarães & Kasper Akhøj, recipients of the prestigious 2018 Faena Prize in Buenos Aires for their participative and genre-breaking work with elements from theatre, music, and architecture. Further exhibited artists include the painters Cristóbal Lehyt and Cristián Silva, who have had an abiding interest in the question as to why people develop the need or feel the compulsion, to integrate themselves into a social system. © bpk/ S. Fischer Stiftung/ Leonore Mau. In the 1970s and 1980s Hubert Fichte, together with Leonore Mau, visited Tanzania, Senegal, Togo and the then Republic of Dahomey, now Benin. He was interested in the local approach to dealing with the mentally ill, compared to imported colonial psychiatry. Drawing on interviews with local psychiatrists, the majority of whom were trained in Europe, artists, politicians, and patients, Psyche presents a multi-layered mesh of Western and non-Western thought, with transitions, confrontations, and syncretisms. Psyche is at the focus of the station in Dakar from Oct 5-20, 2018. Koyo Kouoh, curator and founder of the RAW Material Company Dakar, has curated the exhibition, while the sociologist and German philologist Magueye Kassé has conceived the conference. Kassé, together with Ibrahima Diagne and Mamadou Diop, has translated Fichte’s novel Psyche into French. Between 1978 and 1980 Fichte made a number of longer visits to New York. He was fascinated by the city as the “capital” of African Diasporic culture. The curator Yesomi Umolu, designated artistic director of the 2019 Chicago Architecture Biennial, will be organizing a double exhibition in New York at Participant Inc. und e-flux. Once again, a book forms the starting point for the engagement: Die schwarze Stadt: Glossen, translated into English by Adam Siegel. Fichte exhaustively discussed his insights in interviews with artists, activists, and chance acquaintances, and Leonore Mau photographed. The project is accompanied by a web journal with information and material on Fichte’s works in German, Portuguese, Spanish, French, Wolof, and English (Project Fichte Online) together with a growing number of publications. Museo Nacional de Bellas Artes, Santiago de Chile, Sep 14-Nov 18, 2018 (Opening: Sep 13, 2018, curated by Mario Navarro. Book presentation, accompanying program in cooperation with the Centro Nacional de Arte Contemporáneo Cerrillos, Santiago de Chile). Hubert Fichte: Love and Ethnology is a cooperation project between the Goethe Institut and the Haus der Kulturen der Welt, supported by S. Fischer Stiftung and S. Fischer Verlag. Organized within the framework of the HKW project Kanon-Fragen, supported by the Federal Government Commissioner for Culture and Media in accordance with a ruling of the German Bundestag. The Haus der Kulturen der Welt is supported by the Federal Government Commissioner for Culture and Media and the Federal Foreign Office.